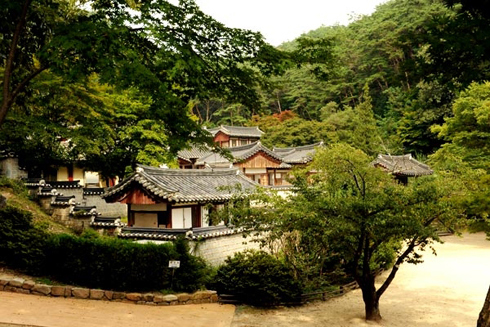 North Gyeongsang Province is full of scenic mountains dotted with ancient Confucian academies. These private academies were established nationwide during the Chosun Dynasty (1392-1897) to equip students with Confucian virtues and knowledge. Even today, these cultural properties continue to serve their intrinsic function as educational facilities to promote Confucian values. Scholars also use them as venues for memorial rites. Byeongsan Seowon in Andong was built in memory of Ryu Seong-ryong, a renowned Chosun scholar, and is of significant architectural value. The Nakdong River flows in front of the academy, which is framed against the backdrop of low mountains. At the entrance to the compound, stairs lead to a hall that can accommodate over 200 people. Known for its unique layout, this academy features curving wooden pillars and foundation stones that support its pavilion. The use of natural materials shows how nature was revered during this period and architects placed a strong emphasis on designing buildings that integrated harmoniously with their environment. 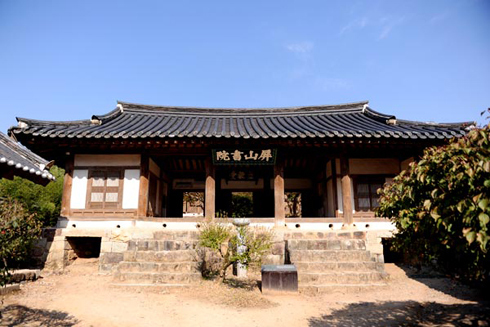 Oksan Seowon in Gyeongju is home to the largest collection of ancient books among the nation's Confucian academies. 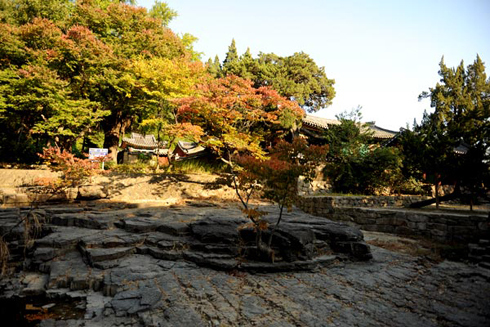 During the Japanese invasions of Korea in the late 16th century, as well as during the 1950-53 Korean War, cultural artifacts including some 1,000 literary works now housed in the academy were saved by the efforts of local villagers. 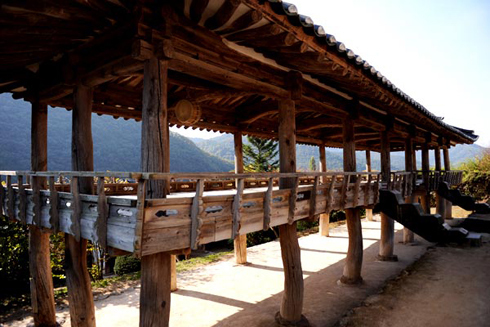 Traditionally in Korea, buildings are constructed facing southwards, where they provide natural access to the most sunlight. But the main buildings of this academy face westwards to afford those inside the best view as it is surrounded by mountains on the other three sides. The academy's main building is Guindang, where Confucian scholars would gather for academic seminars. This structure is unique as it lacks windows so students are not distracted from their studies. 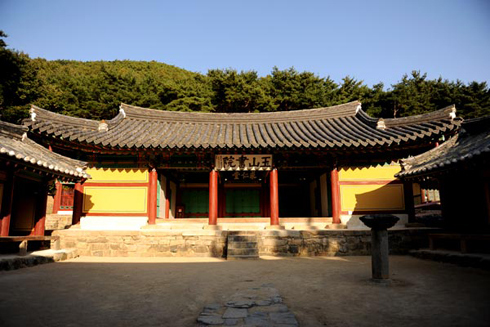 Korea is now seeking to list a number of these Confucian academies on the UNESCO World Heritage List, including Dosan Seowon in Andong and Sosu Seowon in Yeongju, both in North Gyeongsang Province. The former was built in honor of Yi Hwang, a famous prime minister during the Chosun period, while the latter was the first such academy built during this time.